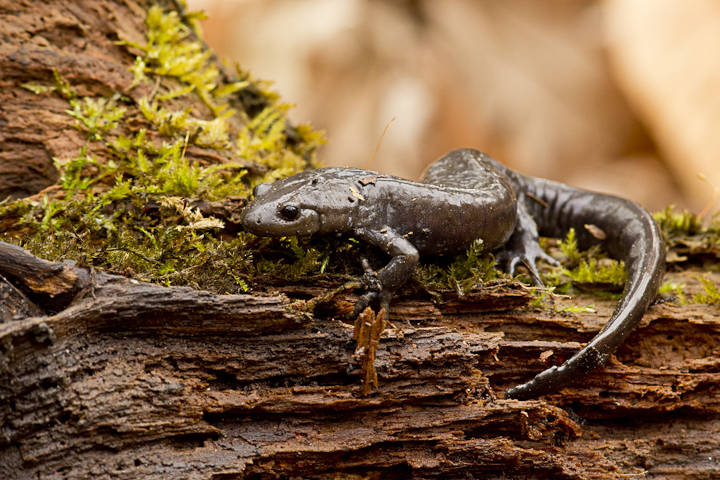 After a week of warmth, Gil Wizen and I set out for the same woods we visited last week, in order to see if we could find any salamanders out to take advantage of the vernal pools. The snow was completely gone, and the pools ice-free, although it was overcast and a nippy 5 C.
There were flies and moths out on the vegetation, indicating at least that the insects have begun to wake up. 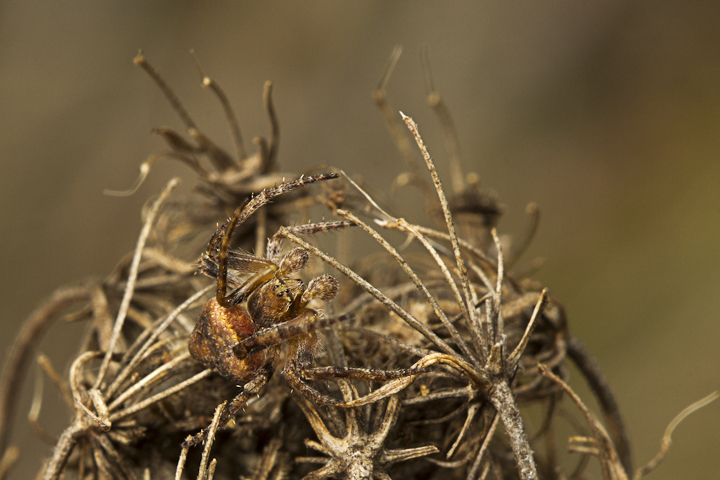 Even a male orb weaver was out, although he did not have a capture web. 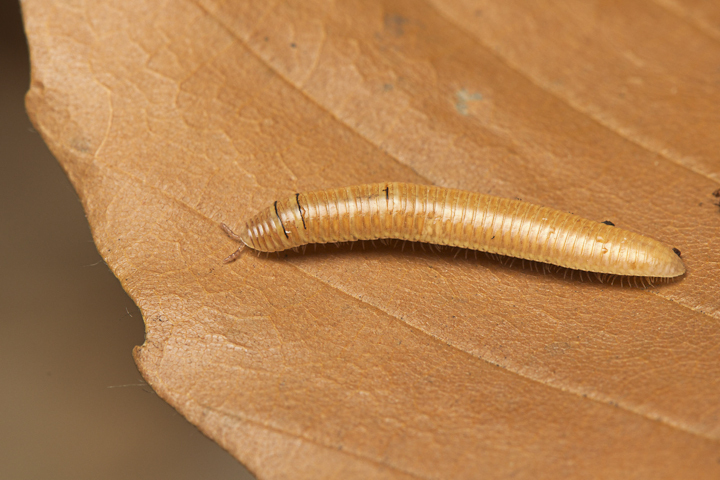 Near the vernal pools, we started to flip some logs, hoping for a treasure rove of salamanders, but initially we found only millipedes, beetles and some small red-backed salamanders. 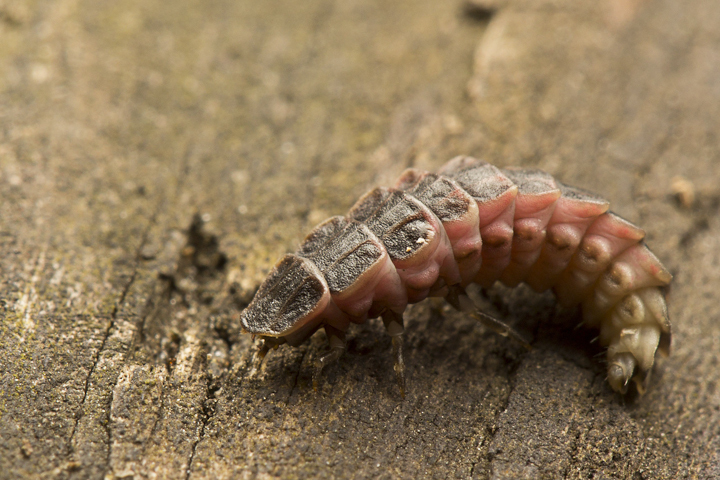 There were quite a few firefly larvae in the rotted wood, as well as some rove beetles. 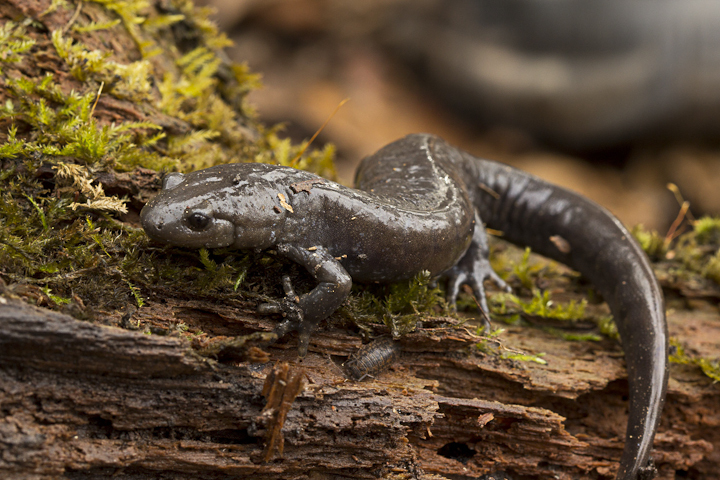 Very close to the vernal pools, Gil found this Jefferson’s Salamander, Ambystoma jeffersonianum. This (to me) was a big beast, dwarfing the longtoed salamanders from BC. 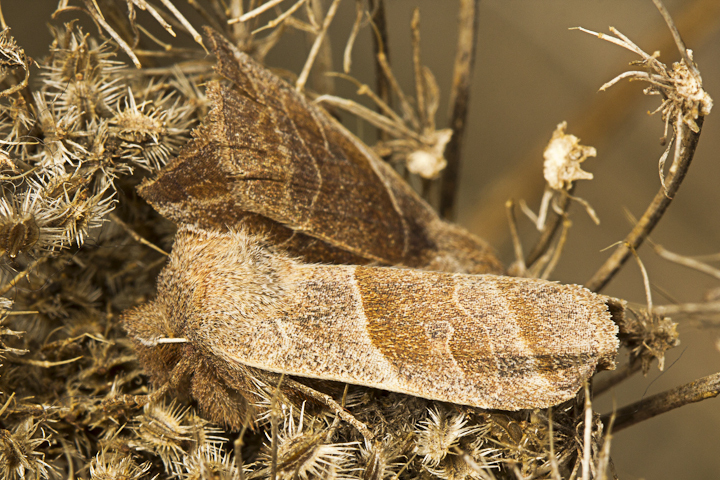 This species is endangered in Ontario, although it is common in other parts of its range. They are a difficukt species to capture well in a photograph, and for this shot I stood off at a distance and used the 300 mm. Luckily it was overcast, and the light in the forest was diffuse. 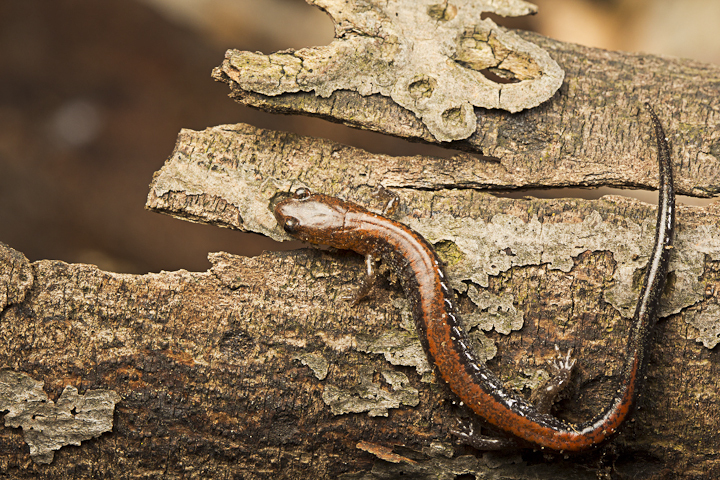 The salamander was quite motionless, and probably was not pleased about being out in daylight. We replaced the big amphibian, and wished it well. 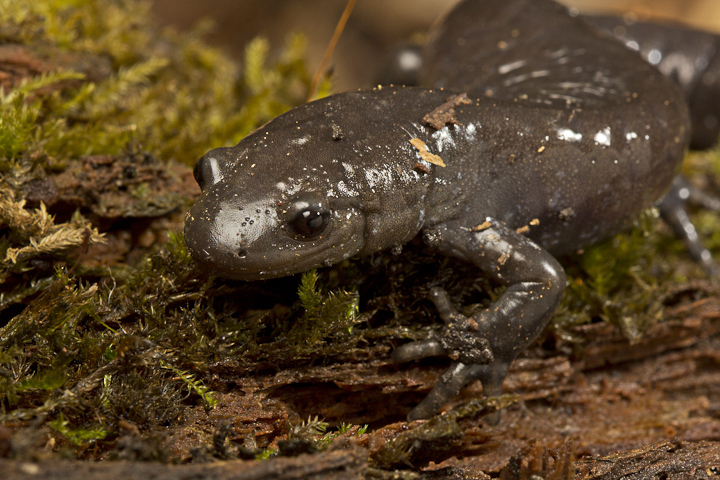 Soon, hopefully, many of its fellows will come down to breed in these little vernal pools. 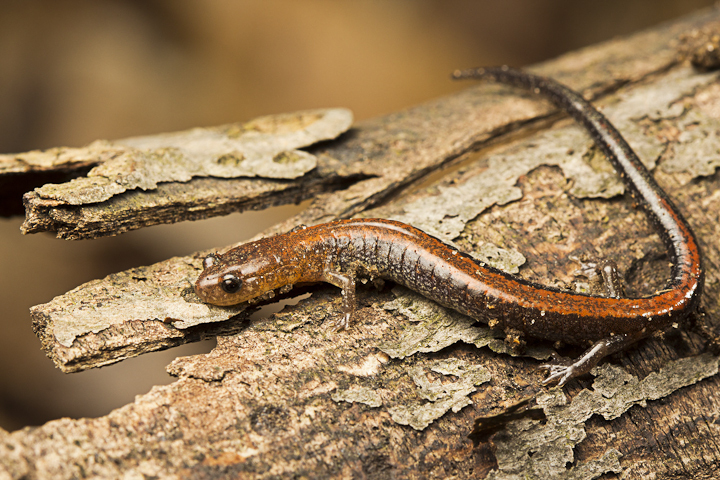 We also found a few redbacked salamanders, which are a species of plethodontid. These animals have no need of open water to breed, and in fact lay their eggs in moist soil and wood, hatching out into juveniles with legs already formed. They are lungless, and never need gills either! 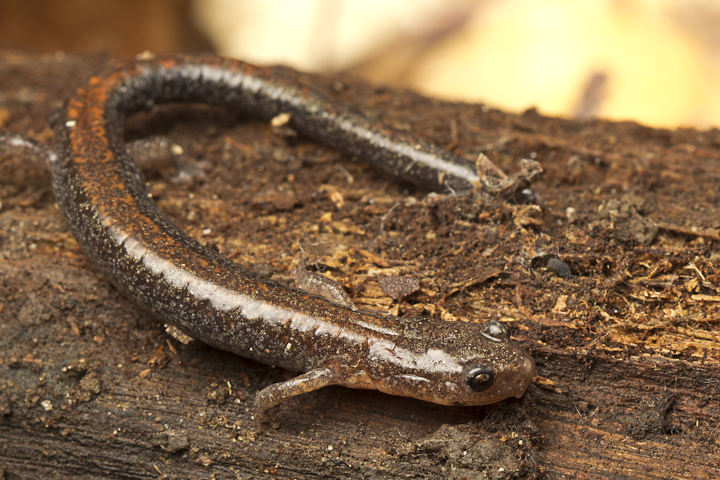 These Plethodon are a bit easier to photograph, although they might have benefited from a more diffuse flash. After leaving Gil to pack for his coming trip to Ecuador, I found my way home was blocked by a big St. Patrick’s day parade. It was scheduled to last several hours, so I crawled through the awful Toronto traffic to Tommy Thompson Park to kill some time until my annoying relatives had cleared out of town. 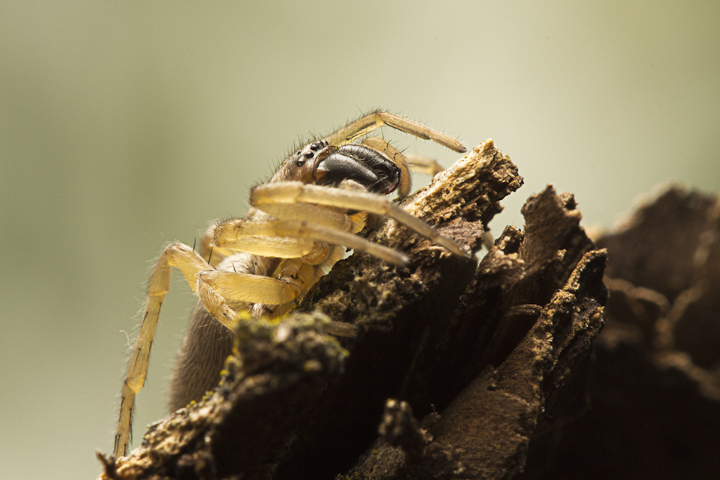 I found a couple of nice sac spiders under some bark. 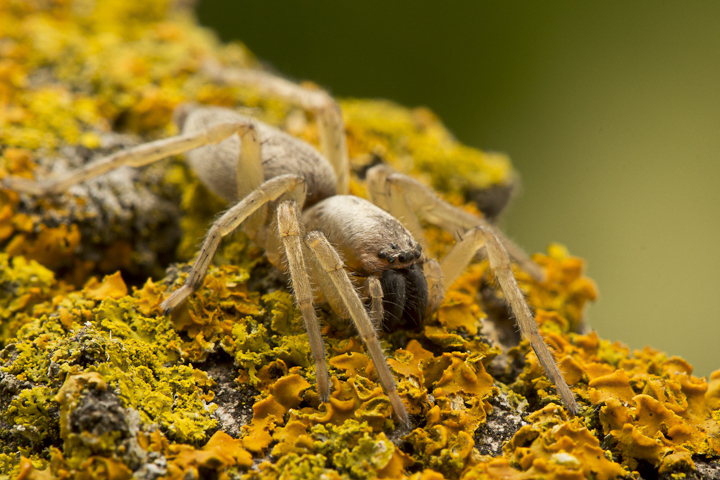 These Clubiona have very impressive chelicerae, but never seem to threaten to use them. Instead, they are very prone to jumping when disturbed. 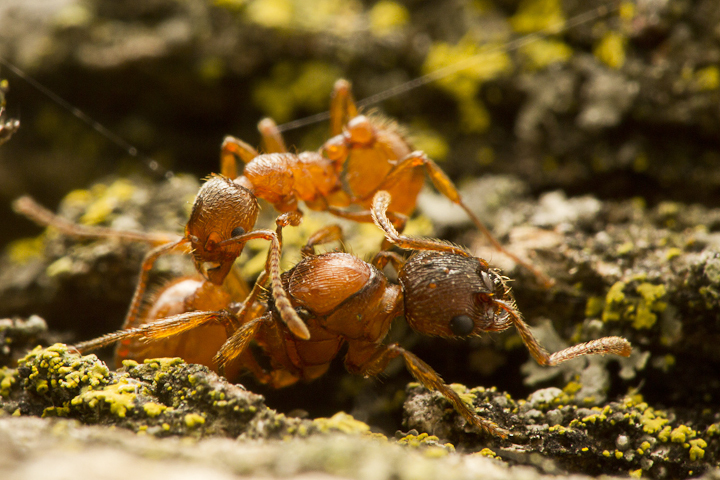 I found some European fire ants under a rock, and took some photos. They were still rather lethargic, and hence not much of a stinging hazard! 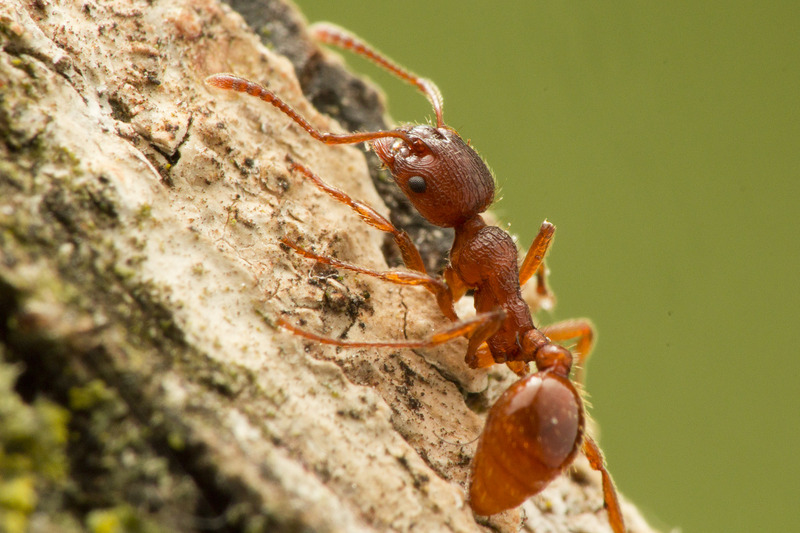 They are quite pretty little ants, and Toronto seems to abound with them now. 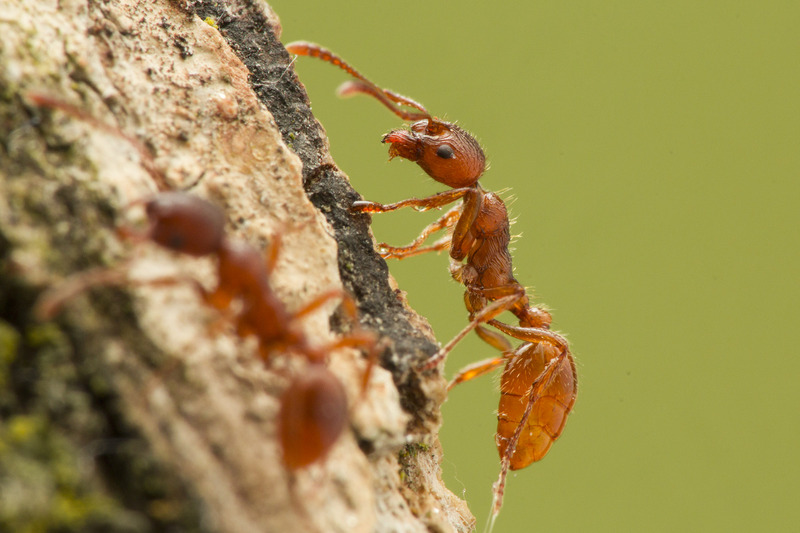 Here a worker antennates a queen. You can see her much-enlarged thorax and wing scars. Despite their wings, the queens do not disperse by flying in North America, a trait they seem to have lost. In addition, the colonies here are often much larger than those in Europe. 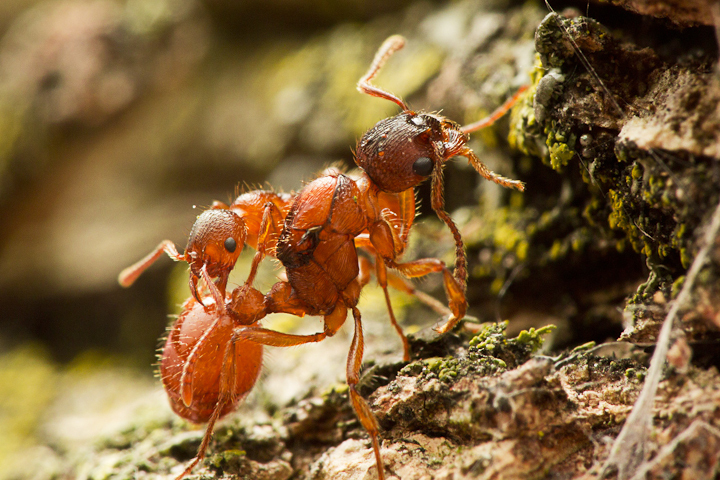 This entry was posted on March 14, 2016, in Weekend Expedition and tagged macro, photography, Weekend Expedition. Bookmark the permalink.